Bundestagswahlkampf 2013 - Dr. Angela Merkel (CDU) - Rede zum Bundestagswahlkampf auf dem Theaterplatz in Ludwigshafen, Deutschland am 14.08.2013. 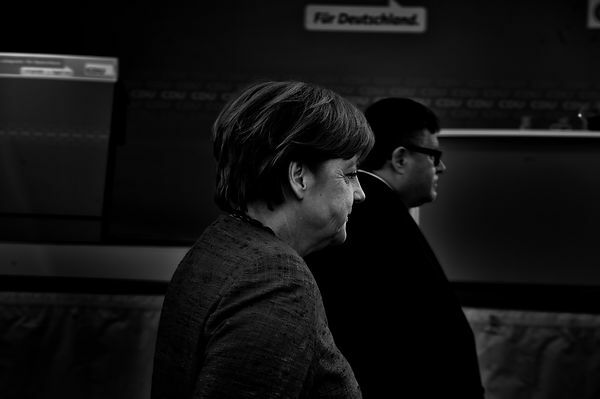 | Chancellor Angela Merkel (2005-today), CDU, during the election campaign in Ludwigshafen, Germany, August 14, 2013. 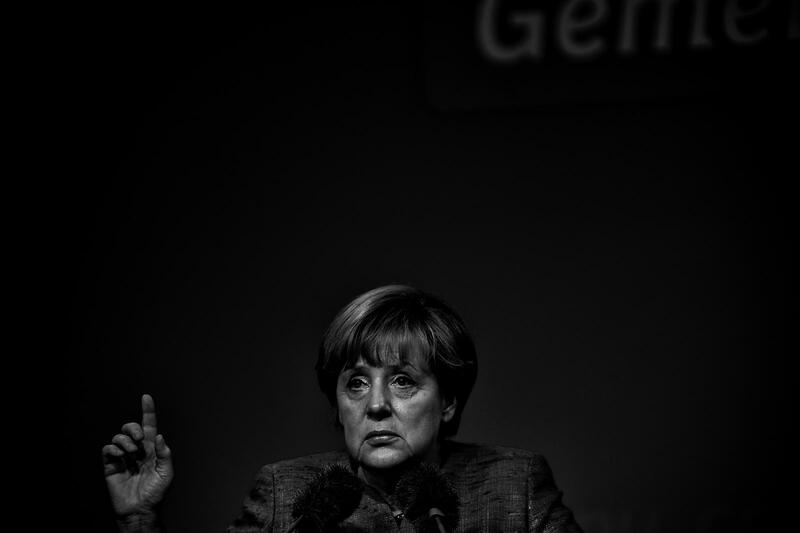 She is the first women as a chancellor and in the following years she grew up to the most powerful women in the world. Fine Art print, 40x60cm, mounted on cardboard, sig., st., 2014.